GARDEN CENTER & NURSERY « Boyer Nurseries and Orchards, Inc. GARDEN CENTER & NURSERY – Boyer Nurseries and Orchards, Inc.
Boyers Garden Center and Shop have grown over the past 50 years from sending farmers home with a rose bush for their wives, to a full fledged nursery. 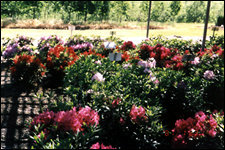 Customers can stroll through the nursery amid hundreds of varieties of azaleas, rhododendrons, flowering shrubs, vines, perennials, evergreens, shade trees, fruit trees, flowering trees, ornamentals and specialty items. 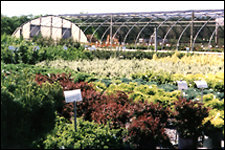 Spring finds the Garden Center overflowing with many varieties of perennials, dwarf conifers as well as over a thousand roses to choose from. New and unusual varieties of plants are always being introduced in addition to the old favorites.The Garden Shop houses quality garden implements, fountains and statuary, hookery, English chamber planters, books, gift items, orchard supplies and chemicals. Mulch, peat and potting soil are also available for purchase. Fall is a great time to plant and Boyers has beautiful fall blooming shrubs and mums to add to your landscape along with a great selection of evergreens, shrubs and trees. Boyers offers beautiful Thanksgiving Baskets to give to friends or as a hostess gift at the Thanksgiving table. 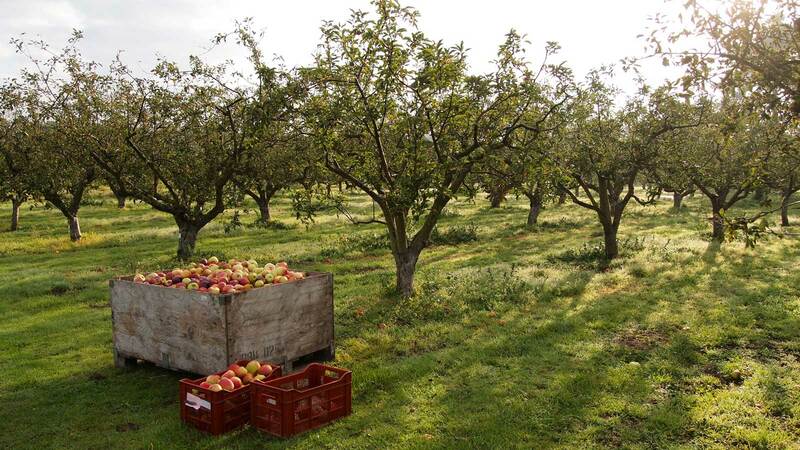 After Thanksgiving, Boyers has bareroot fruit and crabapple trees available for sale. These can be planted until the ground freezes hard.